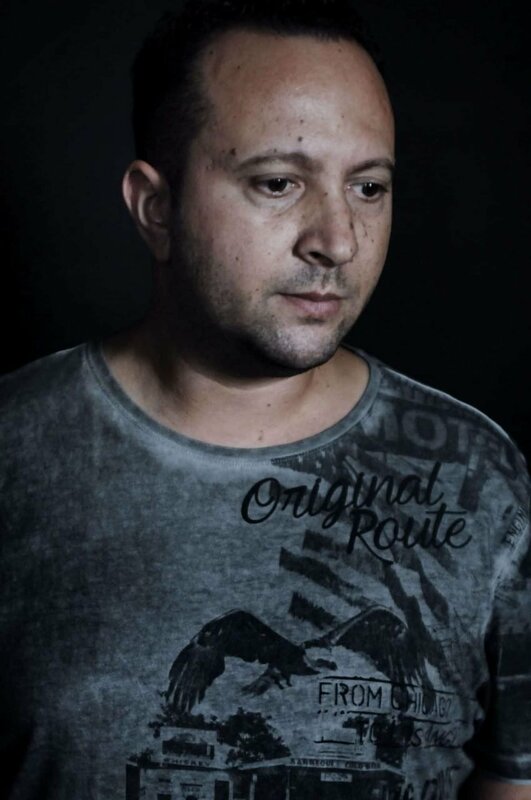 Hakan alias DJ CRUSE was born on the 7.11.1978 in Nürtingen. The qualified shop assistant was always very eager with music. From Hip Hop to rock every music style was interesting for him.1995 then DJ Cruse had discovered the electronic music for himself. First as an party guest in clubs and privately events then as a beginning DJ with his first both Turntables which he saved from his salary. Then it went on – he purchased a big reperteur in vinyl to create his first own mixes. His music went from trance to acid and to techno. In 1999 he also startet promoting himself to get a dj job in his first Resident club – it was the club toy he got the chance. After the first set, promptly DJ CRUSE was obliged on a continuing basis. He also were booked by eventbooker and other clubs. regularly he was playing his sets in stuttgart, reutlingen about the lake of constance space. In 2004 his final breakthrough followed as a booking DJ he was booked after the land borders by baden württemberg and at this point of time he was booked all over germany as an DJ. Gigs followed in switzerland, austria and also in germany. His DJ set became with house, electro as well as minimally a firm component of various clubs. Today with DJ colleague like DJ Dag, Gayle San, Marco Zaffarano, DJ Emerson and Commander Tom he denies big events as a booked DJ. DJ CRUSE wanted to release his own tracks also in the production sector. In 2009 a record deal followed with Dolphin Traxx UK with a remake of the Modjo s successful hit LADY. Dance chart orders in Germany, however, also in UK were the result of his long work as a DJ. In autumn, 2009 the biggest project will start for DJ Cruse „It will be something completely special“ allows to announce the label and also DJ CRUSE. „I will animate together with a very much known marketing figure an old hit – and rock the floors“ After The Flat Beat single becomes DJ Cruse the new Track Raindrops on Under Pressure Records. The Single comes on August 2010 in the Shops and this is the Comeback after 1 year for his. 2011 becomes DJ Cruse gigs in Stuttgart and other citys in Germany. 2012 Dj Cruse makes his own Events in his Country Town Nürtingen..
2014 is the year where good Bookings And Releases queuing middle of the year DJ Cruse New Single Deep in the Night on Stehverbot Recordings was Coming Soon in the Shops. 2015 was the Year for DJ Cruse he Becomes his First Gig at the Streetparade in Zürich that was very Amazing for Him,and he Becomes a Lot of Bookings Around in Germany. 2016 Presents DJ Cruse 4 Titles on a Label in Ibiza with the Names Scream,My World,Peace on Earth,and Turn Around !!! 2017 Comes a New Release From Him with the Title Drop the Beat on 4Te Etage records a Label From Stuttgart Germany. 2018 DJ Releases 2 Tracks on 2 Labels with the Title Groove Machine on 4Te Etage Records and on Provocateur Label with the Title Drive.